Wet leisure companies seeking ways of promoting their services to existing and prospective customers are being targeted by Doric Marketing chief Dorian Davies at SPATEX when the exhibition returns to Coventry this weekend. 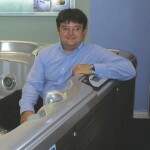 During his debut as an exhibitor at the three-day industry showcase, running from February 1 to 3 in the Jaguar Exhibition Hall of the Ricoh Arena, marketing guru Dorian will be promoting ways in which hot tub retailers and wet leisure businesses can enhance their engagement with consumers and existing customers. The SPATEX appearance follows Doric Marketing’s occupation of an exhibition stand area at the UK Pool & Spa Expo last week to promote innovative CRM technology, which helps to attract more customers with efficient software tools. 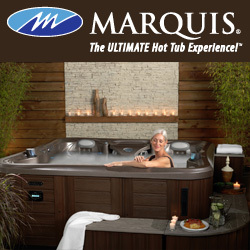 “We gained a very positive response to our marketing initiatives from visitors to our stand during the third instalment of the UK Pool & Spa Expo,” said Dorian, pictured. As well as being a regular visitor at SPATEX over the years, Dorian and has been instrumental in helping Spa Crest Europe deliver its Brand2Go bespoke dealership product and marketing initiative at successive exhibitions in Brighton and Coventry. With his own company and services to promote he is now looking forward to attending SPATEX as an exhibitor. Dorian also revealed he will be promoting the philosophy of marketing to existing customers to boost revenue streams; as well as the importance of standing out from the crowd by promoting unique qualities and services. “In today’s competitive economy, it takes extra effort to differentiate your business from the others in your industry,” said Dorian. “Wowing your customers is about providing more than what you promised and creating a delightful experience. While this may seem simple and obvious, the hustle and bustle of daily work causes customer delights to often get overlooked. “You’ll spend less money marketing to existing customers than attracting new ones. This is why it’s so important to wow customers from the start. For further information about how Doric Marketing’s tried-and-trusted methods can enhance your customer relationships and improve business profitability visit Dorian at SPATEX on STAND G19. SPATEX opening times are 9:30am to 5pm on February 1 and 2. The third day, February 3, is open from 9:30am to 4pm; and will be including the exhibition’s first ever dedicated ‘Spa Day’ organised with the help of ISPE, which will be occupying STAND A17.